Earl Kulpa, a Polk State College alum and adjunct instructor in the Emergency Medical Services (EMS) Program, recently became the first internationally certified community paramedic in Florida — among only 112 in the nation. 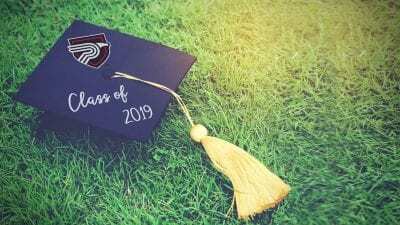 Kulpa, who completed his paramedic certification at Polk State in 2014, is dedicated to providing the highest quality of medical care and to raising the caliber of health care education. Kulpa is a valuable member of the team. In addition to his adjunct duties, Kulpa serves as a community paramedic for Manatee County Emergency Medical Services. In 2015 and 2016, he received Manatee’s Rookie of the Year Award. 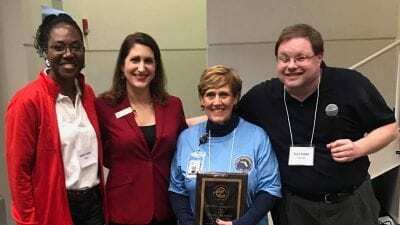 The Manatee Chamber of Commerce honored Kulpa and three other members of Manatee County’s Community Paramedic Program with the 2017 Institution/Program Award. 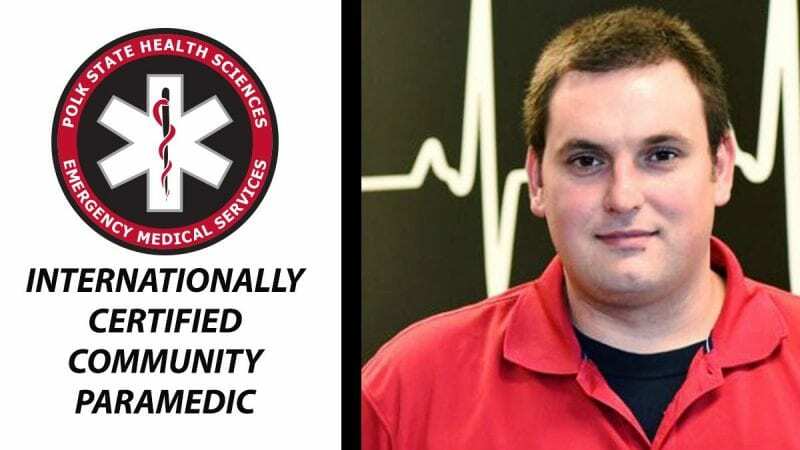 And now he holds a high level of credentialing from the International Board of Specialty Certification (IBSC) as an internationally certified community paramedic. The Certified Community Paramedic Examination focuses on the knowledge level of experienced community paramedics, including competency in mobile integrated healthcare, expanded EMS services in rural and urban settings, services beyond traditional emergency care and transport, and various other healthcare, mental health, and service needs, according to the IBSC. Community paramedicine is an emerging healthcare method that expands the reach of primary care and public health services by utilizing EMS personnel to care for individuals outside of the hospital in non-urgent settings, performing patient assessments and other preventative care measures. These services reduce unnecessary trips to emergency departments, reduce readmission to hospitals, and improve quality of life, while decreasing overall healthcare costs for individuals and the community. “The concept of community paramedicine is to keep people out of the hospital and redirect the treatment of illnesses and injuries by providing primary preventative healthcare in the community,” Kulpa explained. Community paramedic programs and their EMS personnel fill gaps in the healthcare system, particularly in non-acute illnesses and mental health issues. Kulpa is dedicated to bringing his experience and knowledge back to Polk State to benefit up-and-coming EMS providers.